I decided to carve a new bridge for my 1968 Levin LT-18. 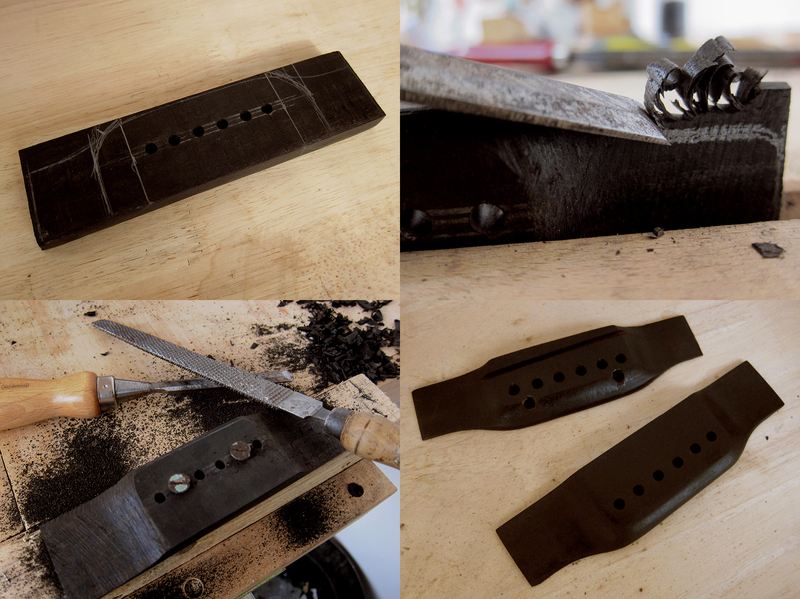 The old bridge needed to be re-glued anyway so I thought it was a good time to create a new one in ebony instead. I did this once, I carved a new bridge for my 1973 K. Yairi YW-1000. This was a pretty similar job, both ebony and roughly the same shape. I’m really happy with the sound of this guitar now, so much richer than with the original bridge. First step was to remove the old bridge with a heated spatula and then copy the bridge and drill the holes. Then shape it as close to the original as possible using my Japanese saw rasp and different files. Last step, fit the bridge and glue it down. 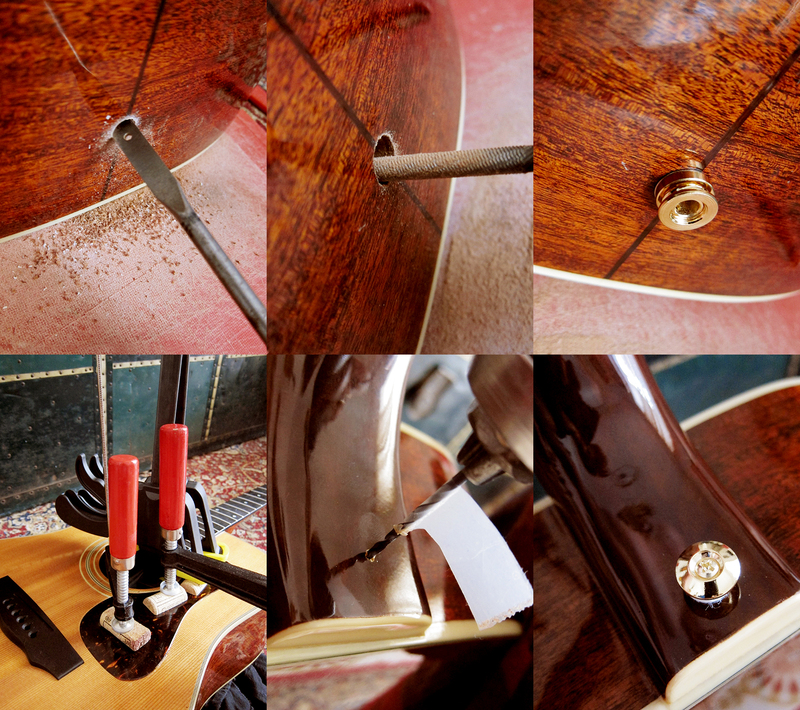 Once the bridge was in place I could check the intonation to get the saddle slot in the perfect spot. Unfortunately I cut the slot 1 mm too wide so the bone saddle got a bit fatter than I had planned. Perhaps that gives tonal qualities I would have missed with a thinner saddle, let’s hope so. I also installed a LR Baggs M1A so I can use the guitar for gigs. Most guitars come with plain plastic bridge pins and I never really thought that changing them would effect the tone, but it does. To be honest I wasn’t sure how much difference it would make to change the nut or saddle either but there I was proven wrong straight away. I’ve heard so much talk about how superior bone is to plastic and thought it was nonsense, until I actually tried for myself. 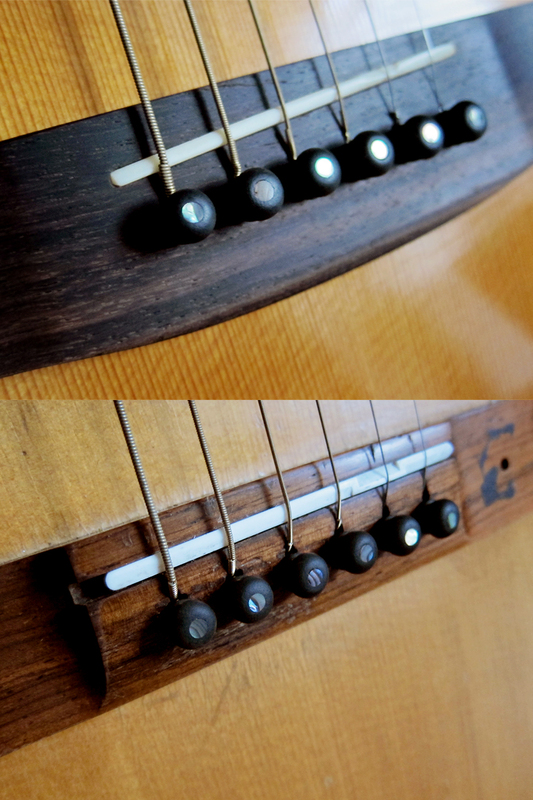 Now most of my guitars have bone or Tusq nuts, both electrics and acoustics. I changed to Tusq on my Claescaster and was sold straight away, it really felt and sounded different. 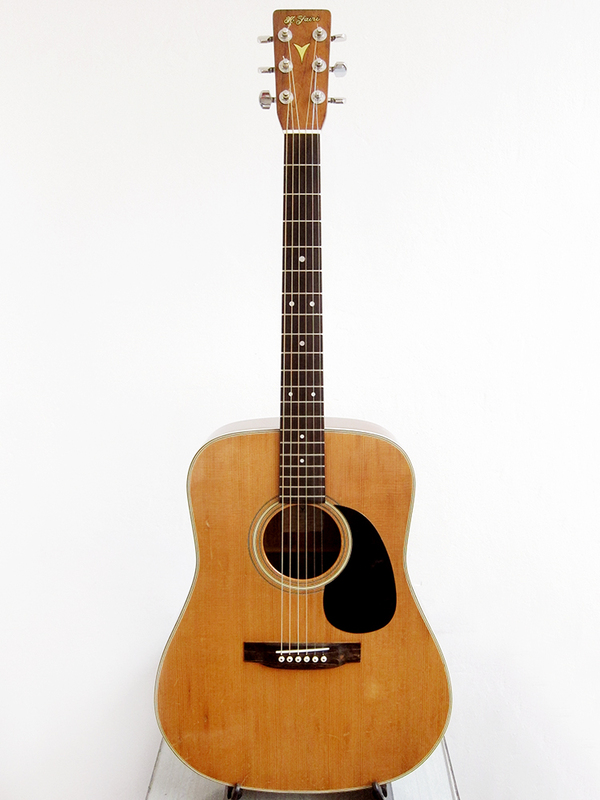 The only acoustic I’ve had to change nut on was the Suzuki and that guitar sounded way better with a bone nut. It’s weird but acoustics for me, up until the last couple of month, have always sounded good or bad but without any nuances. I guess what I’m trying to say is that just like with a fine red wine you need train your pallet to really understand and appreciate all the flavours and subtle differences. I have been buying more acoustics lately and really listened to them while playing and have come to realise more and more what I like and not like with acoustics. 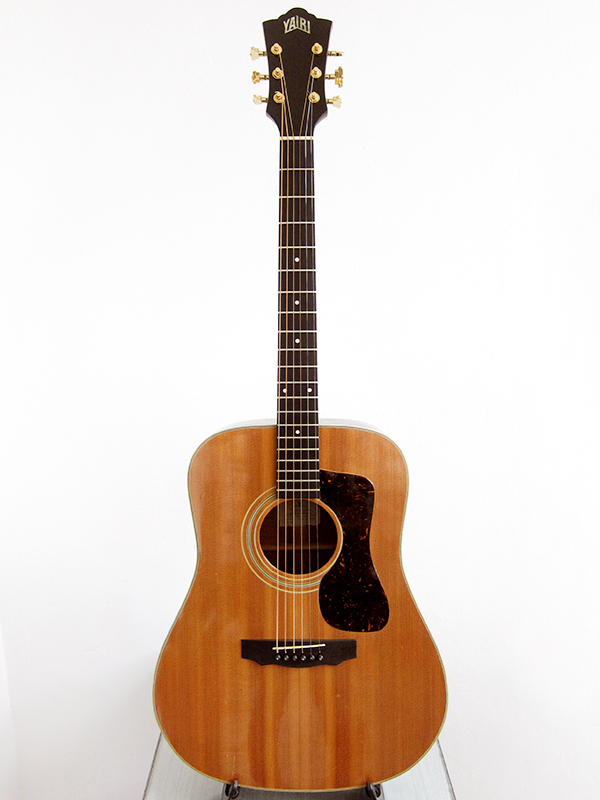 It’s not just down to brand, shape and woods, no guitar sounds the same and there is a lot subtle differences. 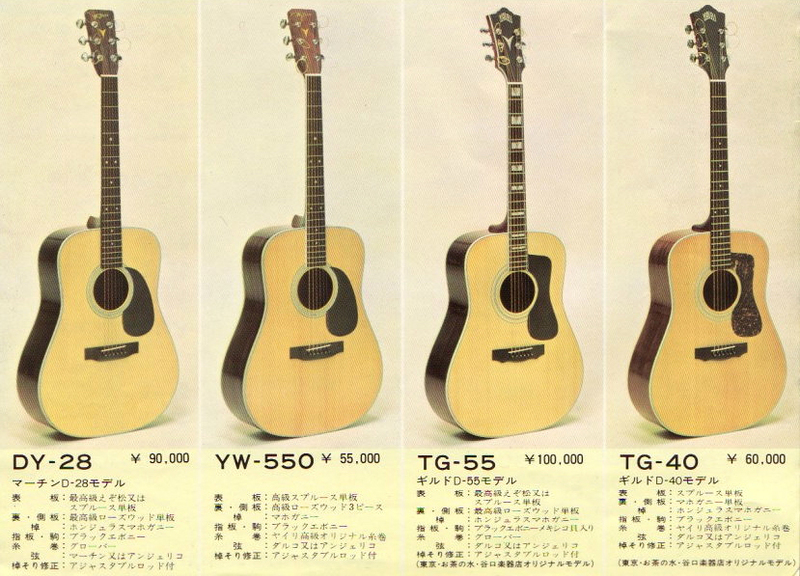 I think that age is very important factor, I really do believe that wood needs time to open up and that it affects the sound a lot, hence why a lot of modern guitars sounds more or less the same to me. I ordered 12 bone bridge pins and 12 ebony from rockcarvings a Chinese eBay seller that was really cheap, $9.90 for 12 ebony pins. I changed the pins on my Morris W-40 first and made a little sound clip with the plastic, bone and ebony bridge pins to really be able to hear the difference. There is a difference, maybe not as big as changing the saddle to bone, but still. In my opinion the bone pins sounded too clear and sparkly on that guitar, they lacked a bit of bottom which could be more about the quality of these Chinese pins than the material itself. 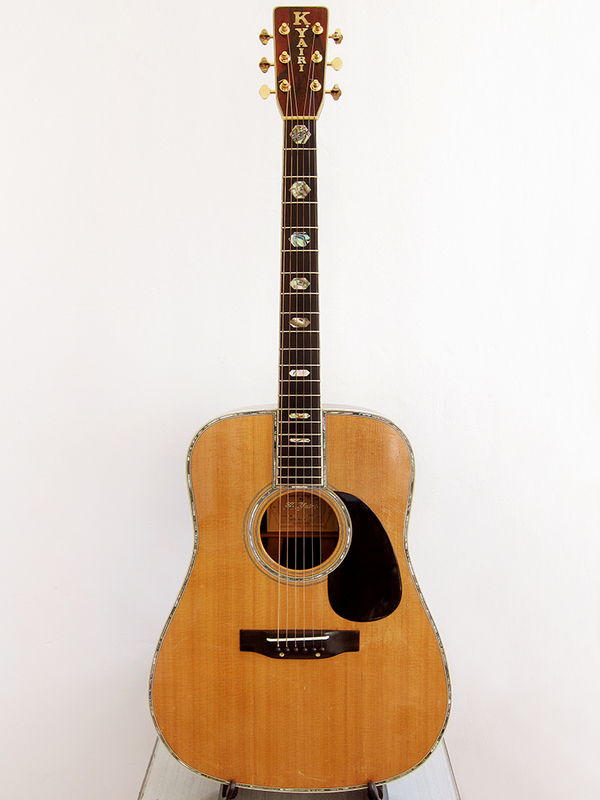 The Morris has a lot of warmth and bottom, which is the reason why I love that guitar so much, so I wanted to keep that rather than give it more treble. The ebony pins were perfect, they just gave such a solid tone, both playing chords and solo. I changed my dad’s Levin LT-16 to ebony as well and put on a new compensated bone saddle, which made wonders to the tone and playability. I will try the bone pins on some other guitars but I have a feeling that I will order more ebony pins in the near future. Here is a list from Maury’s Music with the tonal qualities of different bridge pin materials. I wish I could have found Mammoth or Walrus because that seems awesome but eBay only allowed for Tusq, bone, ebony and horn. Tusq can add a moderate amount of treble, sustain, clarity and volume to your guitar. Bone offers everything Tusq provides, but in bigger doses. 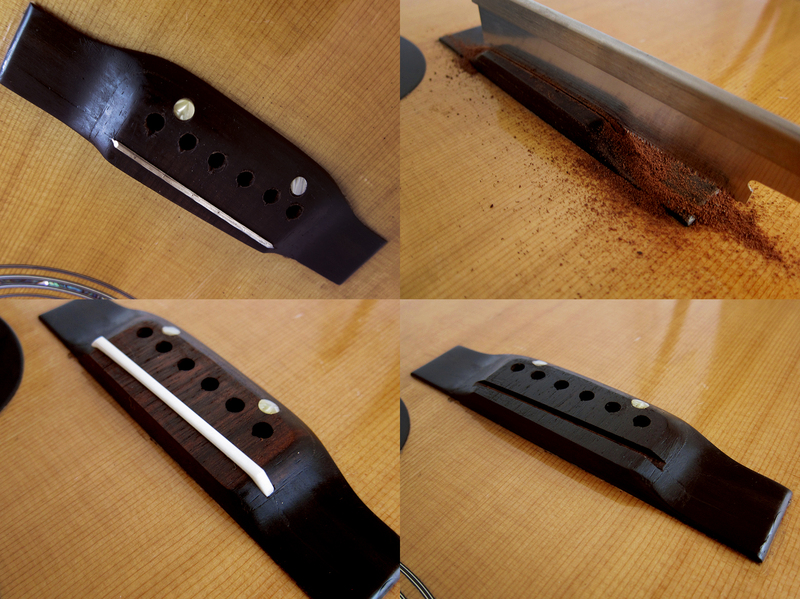 Ebony can add bass and warmth to your guitar, along with a signifigant increase in sustain and volume. Buffalo Horn sounds almost identical to bone, and is a great choice if you want a dark looking pin with bone tone. Walrus Jawbone offers the fundamental tone of bone but with better overtones and fatter harmonics. Mammoth Ivory can add sustain, volume, and a transparent richness to your guitar, with an increase in harmonics and overtones. Walrus Ivory provides the greatest increase in volume, sustain and clarity among all the pin choices.